« #LfBReadathon Mini Challenge: The Match Game! I made this awesome bracelet out of the Glass Arrow charms I won a couple months ago! I missed the Lunar Ball event last weekend because I had to work, so I emailed Joseph Beth and asked that they hold a signed copy for me. I was really surprised to find that they got it personalized for me, too! Joseph Beth rocks!! [9 Feb] The 2nd Annual #LfBReadathon Kicks Off! 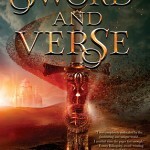 [10 Feb] Don’t be Afraid to be Yourself in YOUR Reviews! [14 Feb] #LfBReadathon Mini Challenge: The Match Game! [15 Feb] Heartbeat Weekly (53): Kristen Simmons signing! I left work early on Tuesday night to head down to Joseph Beth in Cincinnati to see Kristen Simmons! Ahhh!!! I was SO excited to see her, because it was kind of like meeting her for the first time! (I met her once last year, but it was before I’d read anything by her, and before I developed a friendship with her.) She recognized me by sight and gave me a hug! 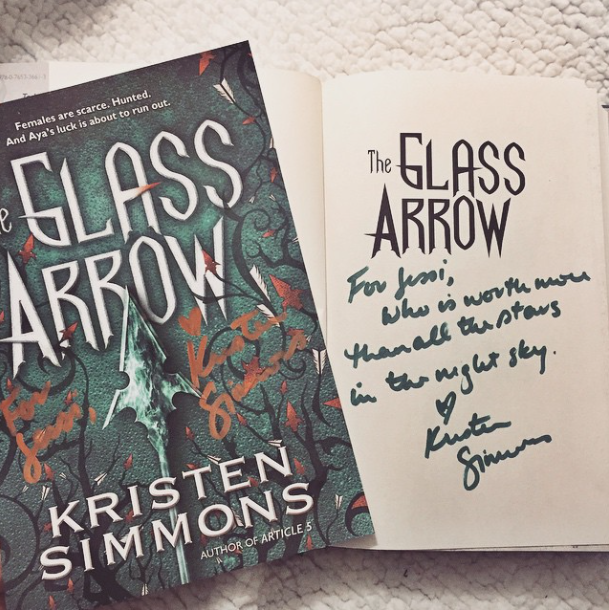 I had a special gift to give her: On the ARC tour of Glass Arrow, I asked that everyone who read it leave a personal note to her, as well as leave little notes throughout the book (favorite quotes, reactions, etc.). She loved it! I really enjoyed the panel! Kristen read a few meaningful passages from the story and talked about her inspiration. 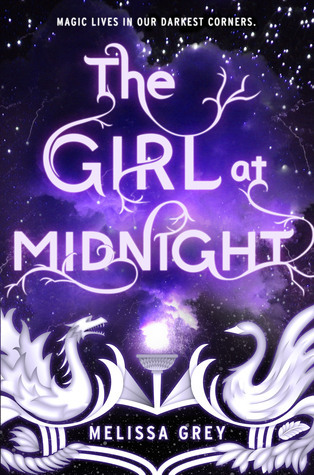 She read her favorite quote – which made me squee, because it’s my favorite one too! She talked about what it is to be a woman in society and how that was a strong tone throughout the story. About how it shouldn’t matter what we wear or how we look – that we shouldn’t be just a number. We should be judged based on who we are. Brax was originally supposed to be named Jax – until she was watching SoA and realized she didn’t want him to have the same name as Charlie Hunnam’s character! She also briefly mentioned Metaltown, her upcoming book! CAN’T WAIT. I asked her if she cried while writing the ending (because I cried while reading it!) and she said, yes. Yes she did. It was ugly. Kristen was gracious and adorable and it was awesome to see her in person! I waited in line until the very end because I had 6 books to get signed and most everyone else only had 1 or 2. (I had 4 copies of Glass Arrow for giveaways/gifts lol!) Oh, and there were these adorable Glass Arrow cookies! What a nice idea to let bloggers write something sweet in the back of that ARC. 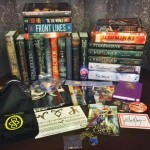 It must be amazing to receive such a gift as an author :D Cool bracelet and I love all the signed books you have there. Fairest was a great story. Happy reading! YOUR WEEK SOUNDS SO FUN. I’m so happy that Kristen loved the blogger notes! 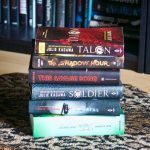 I’m reading The Glass Arrow right now and I don’t want it to end! I need to finish the Article 5 series after this (which is equally amazing). 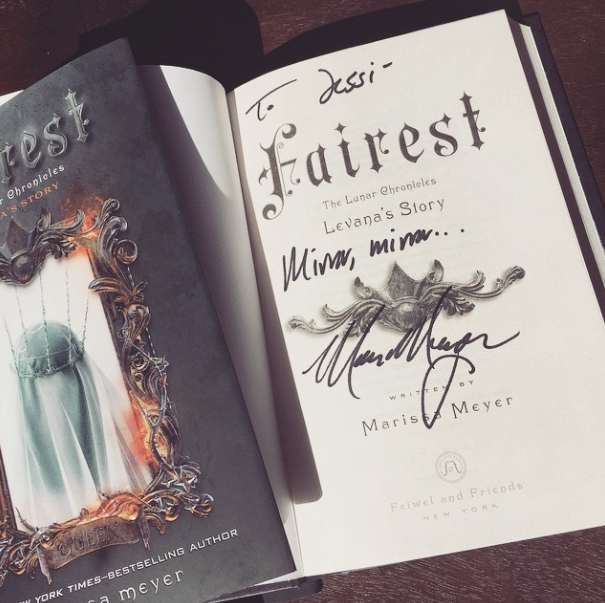 Love that you were able to get a personalized copy of Fairest, I still need to buy a copy! Looks like you had a great bookish week. Take care Jessi! I’m so glad you got to give Kristen the book with all our notes :) That was such a great idea on your part!! 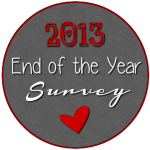 This was such fun thing to participate it, we will definitely have to do it again with another book. I can’t wait to read The Orphan Queen. Have a great week! I can’t wait to read The Orphan Queen. 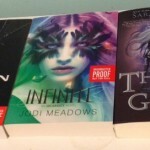 I love Jodi Meadows. Have a great week! 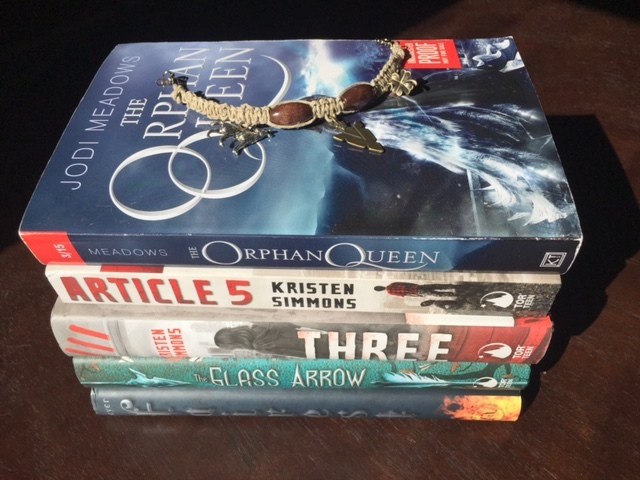 I’ve heard some different things about The Orphan Queen but I’m excited to get my hands on it! Hopefully some time soon. :) Awesome haul as always, Jessi! And your charm bracelet is amaaaaazing. You’re so artistic. Great to hear about the Simmons signing! And to see she loved our shared ARC! 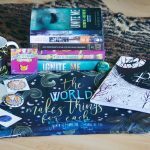 I love doing nice things for the authors that totally deserve it!